Game "Rolling Turtle" (2534). 1 minute ago by Baby-yoshi. steal the spoon from the person below you.... (1488). 2 minutes ago by Baby-yoshi. my friend died (30). 4 minutes ago by Baby-yoshi. Offtopic post (216). 6 minutes ago by Baby-yoshi. Introduce yourself (258). 18 minutes ago by Baby-yoshi. Counting game (120). 20 minutes ago by Baby-yoshi. We've been overspammed... (14). 26 minutes ago by Baby-yoshi. laptop or computer???? (18). 33 minutes ago by Baby-yoshi. Who is the person with the best rating power? (119). 37 minutes ago by Baby-yoshi. Another Post Price Game (1390). 45 minutes ago by Baby-yoshi. Game : Find The Typos (67). 54 minutes ago by Baby-yoshi. Favorite Mario Characters!! (57). 58 minutes ago by Baby-yoshi. The Last Thing Did You Buy...? (83). 1 hour ago by Baby-yoshi. JG Features? (18). 1 hour ago by Baby-yoshi. Game "Moonlights" (638). 1 hour ago by Baby-yoshi. Game "Jump Gear 2" (3276). 1 hour ago by Baby-yoshi. Letter Game (6). 1 hour ago by Baby-yoshi. Hacked accounts (32). 1 hour ago by Baby-yoshi. JG2 car's name (63). 2 hours ago by Baby-yoshi. Game "BLockoban" (448). 2 hours ago by Baby-yoshi. Jump Gear 2 Community Level Maximum 5 People! (58). 4 hours ago by Baby-yoshi. I am planing to stay at Bonuslevel for 10yrs or more :D (33). 4 hours ago by Baby-yoshi. Favorite Character (24). 5 hours ago by Baby-yoshi. 123...456...789...10 SpAmItY (26). 5 hours ago by Baby-yoshi. Jump Gear 3!!!! votes (69). 5 hours ago by Baby-yoshi. Introduce yourself (258). 8 minutes ago by Baby-yoshi. Counting game (120). 10 minutes ago by Baby-yoshi. We've been overspammed... (14). 17 minutes ago by Baby-yoshi. laptop or computer???? (18). 23 minutes ago by Baby-yoshi. Who is the person with the best rating power? (119). 27 minutes ago by Baby-yoshi. Another Post Price Game (1390). 35 minutes ago by Baby-yoshi. Game : Find The Typos (67). 44 minutes ago by Baby-yoshi. Favorite Mario Characters!! (57). 49 minutes ago by Baby-yoshi. The Last Thing Did You Buy...? (83). 59 minutes ago by Baby-yoshi. JG2 car's name (63). 1 hour ago by Baby-yoshi. -The Sun's made of cookie dough. -In Diablo 2 there's a secret cow world filled with halberd wielding cows. -If all the bacteria in a cheese cooperated and moved the same way, the cheese actually would be able to "walk." Do we got 52 minutes after the topyc has been created ??? Btw cat says meow, or rawr. Got 2 like kinda go! Oh my goodness! X-Treme Dance! Ah, we walk, not run! Yeah, or maybe there just testing...you know? wtf? jp got a secret.. Hmm..
What's this supposed to mean??? 123...456...789...10 SpAmItY (13). 1 minute ago by Im. Game "Rolling Turtle" (2478). 1 minute ago by Im. Meet on Runescape (13). 1 minute ago by Im. List the glitches you've found in SSBB (Super Smash Bros. Brawl) (26). 1 minute ago by Im. Offtopic post (198). 2 minutes ago by Im. Game "Jump Gear 2" (3193). 12 minutes ago by Im. This is a forum for anything (22). 17 minutes ago by Im. Mouse Capture ideas (14). 19 minutes ago by Im. Pokemon Fusions!!! (22). 21 minutes ago by Im. The topic where you can only post the most random things you can thing of that doesn't make sense... (183). 1 hour ago by Im. Game "Moonlights" (593). 1 hour ago by Im. my friend died (10). 1 hour ago by Im. Game "Mouse Capture" (64). 2 hours ago by Im. Game "Push" (826). 2 hours ago by Im. Aww.... I wanna go to "Game "Jump Gear 2""
IM that thing looks sick! That was the BEST POST EVER! Game "Jump Gear 2" (3193). 1 minute ago by Im. List the glitches you've found in SSBB (Super Smash Bros. Brawl) (24). 1 minute ago by Im. Offtopic post (193). 3 minutes ago by Im. This is a forum for anything (22). 4 minutes ago by Im. Mouse Capture ideas (14). 7 minutes ago by Im. Pokemon Fusions!!! (22). 8 minutes ago by Im. The topic where you can only post the most random things you can thing of that doesn't make sense... (183). 55 minutes ago by Im. Game "Moonlights" (593). 57 minutes ago by Im. Game "Mouse Capture" (64). 1 hour ago by Im. 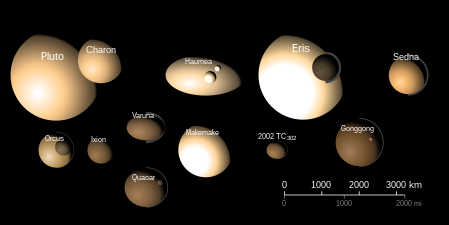 the photo Im has posted is the group of objects (forgot the name) that are smaller then Mercurius but bigger then ceres. Pluto is not a planet anymore..